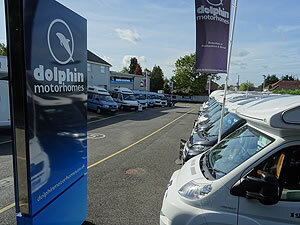 Dolphin Motorhomes is a family run motorhome dealer with over 45 years' experience in the industry. 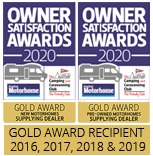 We understand the extreme importance of customer care, and we place great emphasis on looking after both our existing and potential customers to give you the service you deserve. 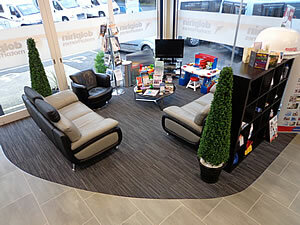 Why not visit one of our luxury sites and showrooms in Southampton, Hampshire and Christchurch, Dorset. Our Southampton site is situated just 1 mile from M27 Junction 8 on the A3024 towards Southampton, just a short journey from the Isle of Wight. 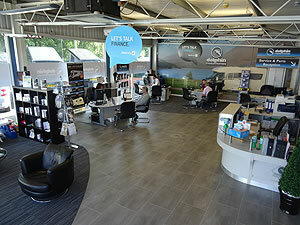 Our Christchurch site is located on the Christchurch to Bournemouth section of the main A35 just outside Christchurch. We have a superb selection of new and used motorcaravans on display, priced between £12,995 to £79,995. With Dolphin all camper vans are kept open for your viewing, so you are guaranteed a friendly welcome in relaxed surroundings. Our fully trained sales team has many years of experience, and can offer test drives and full working demonstrations on a daily basis. We welcome RVs, caravans, cars and trailer tents in part-exchange. Our one stop shop can offer tailored finance packages to suit your requirements (subject to status). Why not come and view our superb selection of new models, where we display a variety of products that are designed to suit all shapes, sizes, layouts and pockets, plus all of which are manufactured in the UK. We have a great variety of hightops / van conversions available, including ranges from Auto-Trail, Elddis Envy and Swift Spirit. If a coachbuilt would better suit your requirements, we stock products manufactured by Auto-Trail, Elddis Envy and Swift Spirit, where they not only boast a great variety of layouts, but represent fantastic value for money. New and exclusive in 2014, the Elddis Envy has surpassed all expectations and become Dolphin's best-selling range. This stylish and eye catching range of ten models is bespoke to Dolphin and has specialist features. Last, but by no means least, we display the Auto-Trail franchise, the market leader for producing luxury coachbuilts in the UK. The Auto-Trail range covers a wide spectrum of choice and caters for all customers whilst focusing on fantastic build quality.